Ferrari is considered the most powerful brand in the world, thanks in part to its decision to ration the supply of its cars. The growing ranks of the super rich don't like to wait around, especially when it comes to buying a Ferrari. So the Italian company -- owned by Fiat (FIADF) -- is making more of its highly exclusive cars to satisfy pent up demand. Ferrari will increase production by 5% this year to avoid excessively long waiting lists. That means sales should rise by about 350 cars. The luxury automaker had previously capped production at 7,000 cars per year to bolster the brand's reputation for exclusivity. The shift in strategy comes as Ferrari chairman Luca di Montezemolo prepares to stand down next month after nearly 23 years in the job. Montezemolo was forced out by Fiat CEO Sergio Marchionne after they clashed over the future of the company and Ferrari's poor performance in Formula 1. Marchionne said earlier this year that Ferrari could sell as many as 10,000 cars to meet demand from the ultra wealthy around the world. The company has a careful balance to strike between meeting growing demand -- particularly in the U.S. and Japan -- and protecting its ritzy reputation. 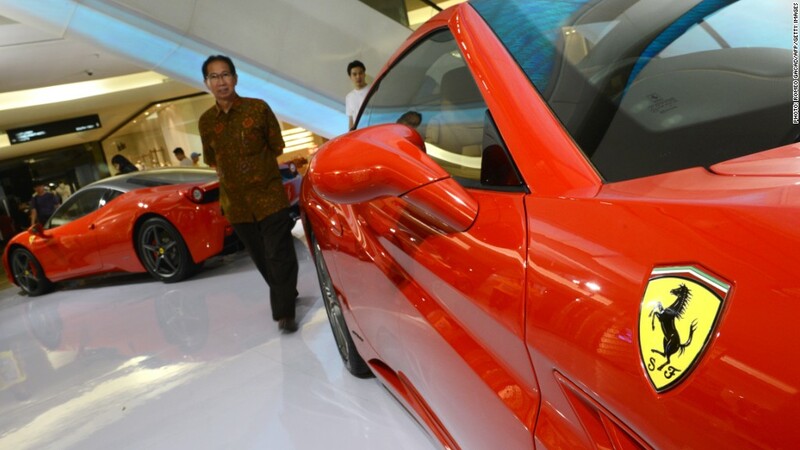 "If we flood the market, we won't be able to maintain the exclusivity of our brand," said a Ferrari spokesperson. Ferrari is considered the most powerful brand in the world, beating much bigger companies such as Apple (AAPL) and Google (GOOGL), according to Brand Finance. Its top-notch rating is based, in part, on its decision to cap sales, along with brand desirability, consumer loyalty and employee satisfaction. 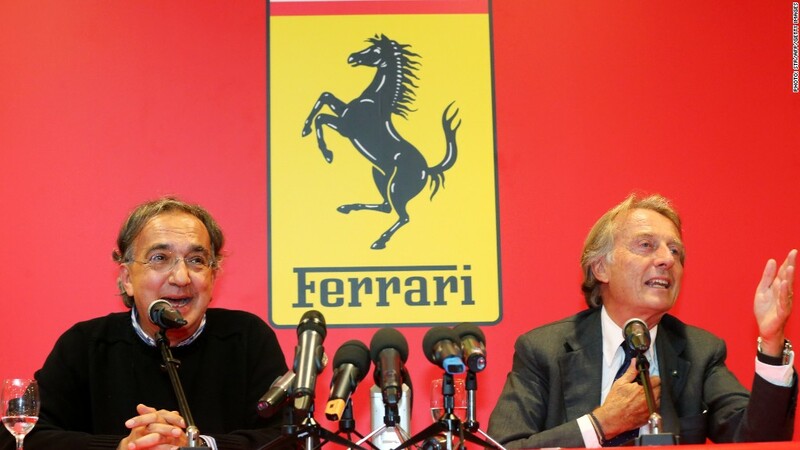 Fiat CEO Sergio Marchionne (left) is taking over as Ferrari chairman from Luca di Montezemolo (right) in October. "Montezemolo has been fiercely protective of the Ferrari brand, capping production ... and resisting collaboration with Fiat in order to avoid 'contamination' as he might see it," said Robert Haigh, a London-based branding expert at Brand Finance. "There is huge scope for the expansion of the Ferrari brand, but commercial exploitation will need to be tempered with very sensitive, well-informed management." Ferrari reported record revenue in the first six months of this year, up nearly 15% compared to the same period in the previous year, even as it sold fewer cars. Profits for the period also rose by 10%.